A newly-released legislative study reveals that the state of volunteer fire and rescue service in Pennsylvania may be nearing a crisis. With 90 percent of the state’s 2,500 fire companies being volunteer departments, the decrease in new volunteers is beginning to pinch local services. The study, which you can read by clicking here, claims the number of volunteer firefighters in Pennsylvania has dropped from 300,000 in the 1970s to 38,000 today. Reasons for the decline include a general lack of civic volunteerism and increased training requirements. I have visited with most of the volunteer fire companies in my district and they all express concern for the drop in volunteers. Increased training is good for quality, but it also places real challenges on volunteers, both in terms of time and money. During the next legislative session, I hope to explore this problem more deeply and to review thoughtfully the 27 recommendations in the study. I also intend to dedicate one of my town hall meetings to his subject in 2019. Monday, Dec. 31, is the deadline for older adults and residents with disabilities to apply for rebates on rent and property taxes paid in 2017. At last count, more than 425,000 Pennsylvanians had applied to the Property Tax/Rent Rebate Program through the Department of Revenue. This program is funded through the Pennsylvania lottery. This program is intended to aid seniors and those with disabilities with modest incomes. The income limit to qualify for benefits is $35,000 a year for homeowners and $15,000 annually for renters. In the computation of income half of Social Security income is excluded. The maximum standard rebate is $650. Eligibility information and forms are available on my website at RepSchemel.com or by contacting my district office. The Medicare Open Enrollment Period continues through Friday, Dec. 7. During this time, you may make changes to various aspects of your coverage. Click here to contact APPRISE or to find an APPRISE event near you. State funding has been awarded to Quincy Township for expansion of its municipal park. The grant program is administered by the Department of Conservation and Natural Resources. The township will use the $25,400 grant toward the acquisition of approximately 6 acres adjacent to the park. 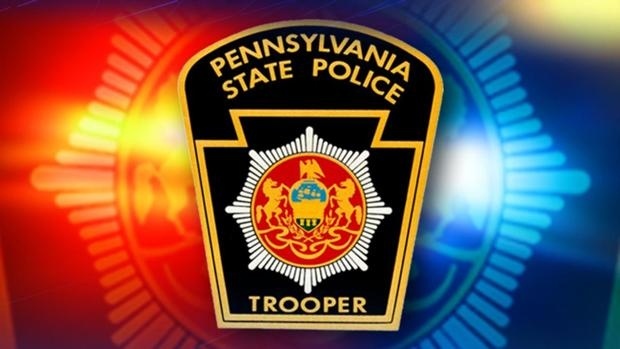 Congratulations to State Troopers Tyler McDonald and Spencer Van Scyoc of Franklin County, who graduated recently from the State Police Academy in Hershey. Both of them have been assigned to Troop H, Harrisburg. A total of 99 men and woman were members of the 153rd graduating cadet class.